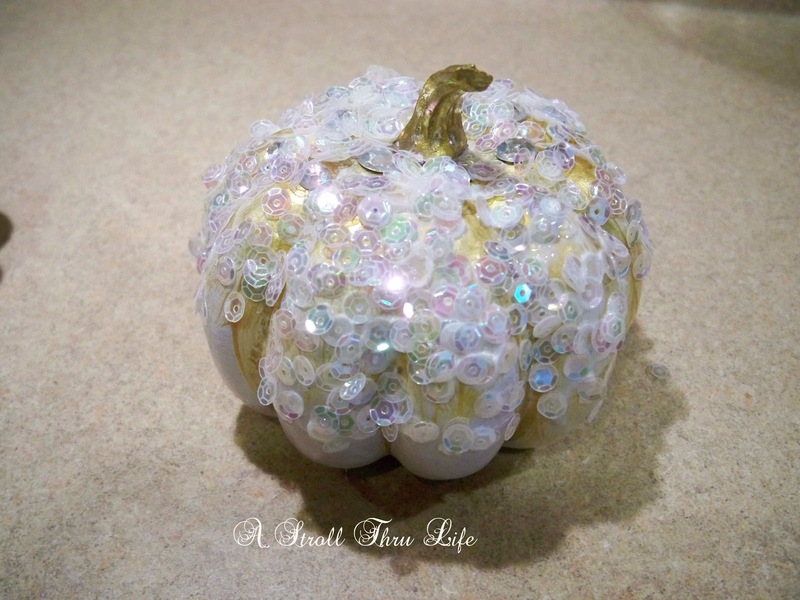 If you have been looking for very long, some of the decorated pumpkins can be pretty expensive. 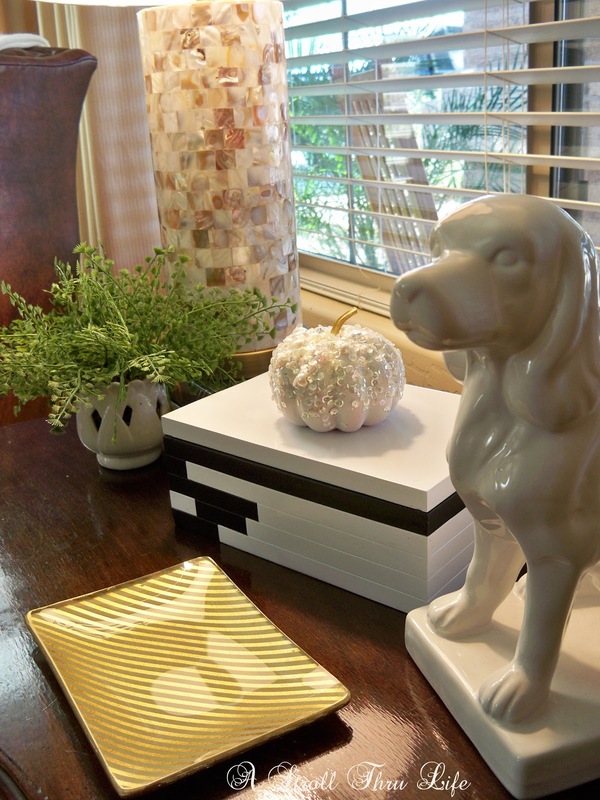 Not to worry, you can decorate some for practically nothing and they are so easy to do. I wanted some that had rhinestones, sequins and pearls. 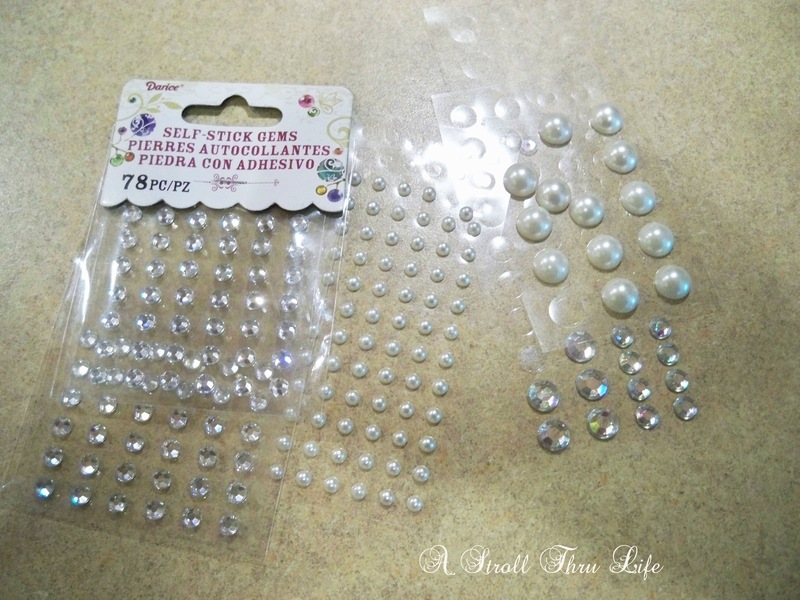 and some stick on rhinestones and pearls from Michaels. I also had a pkg. of irridencent sequins. 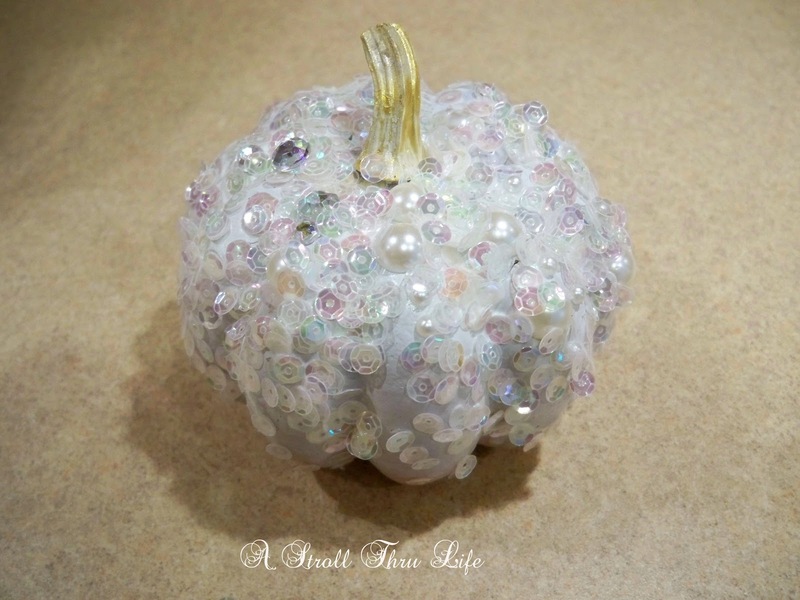 I painted the stem gold and left the pumpkin all white, then I added an assortment of rhinestones and pearls. I painted mod-podge over everything 3/4 of the say down and sprinkled sequins all over. When it was dry I just shook the excess sequins off into a bowl to put back in the pkgs. I painted the stem and feathered gold half way down on this one and did the same thing with rhinestones and sequins. I painted 3/4 of the way down with gold on this one, then did a few pearls and larger rhinestones. I only added the sequins to one side. 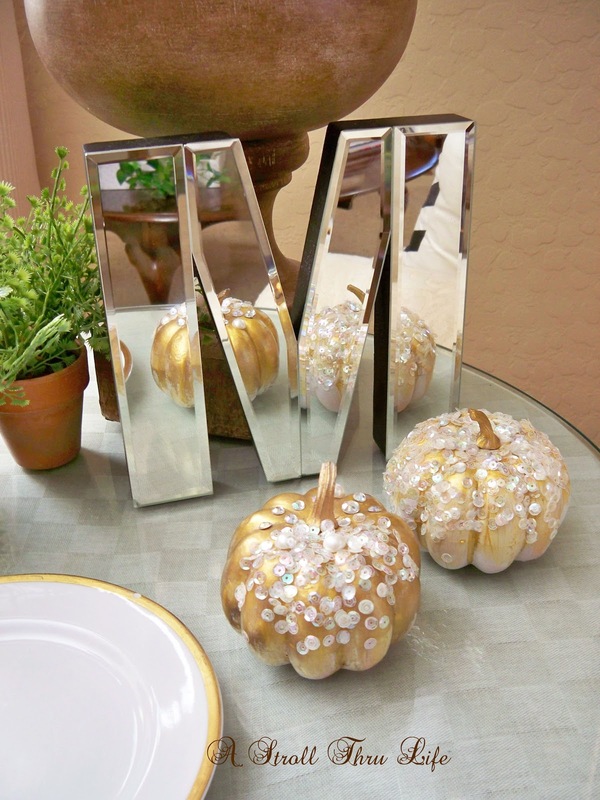 This is about a 15 minute project and I have some pretty pumpkins to glitz up my fall decor. So, are you on the glitzy side or the rustic or maybe both like me. Your pumpkins are simply darling, Marty! Thanks for sharing and enjoy your day. These are charming!! 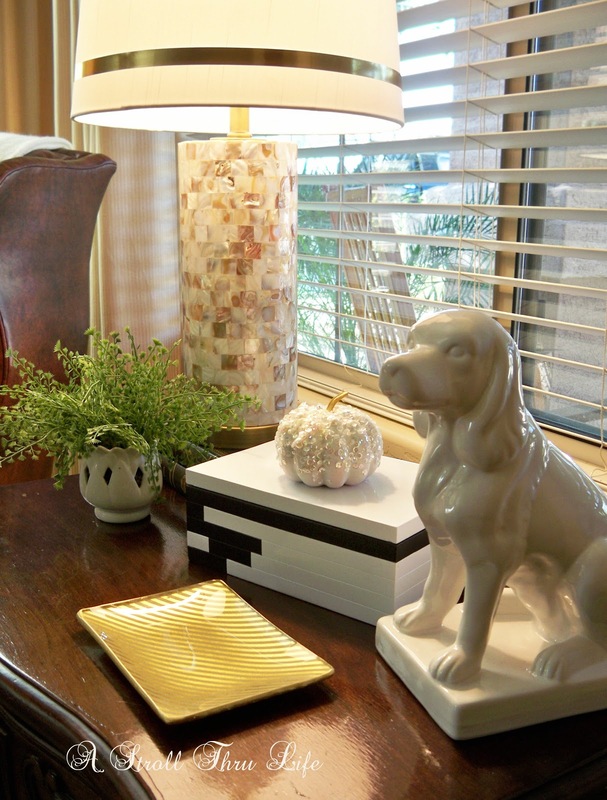 I bet they really sparkle under that lamp! Great idea! Marty, I really like your glamorous pumpkins. My favorite is the white one with white sequins, but they are all darling. The sequins add tons of sparkle. 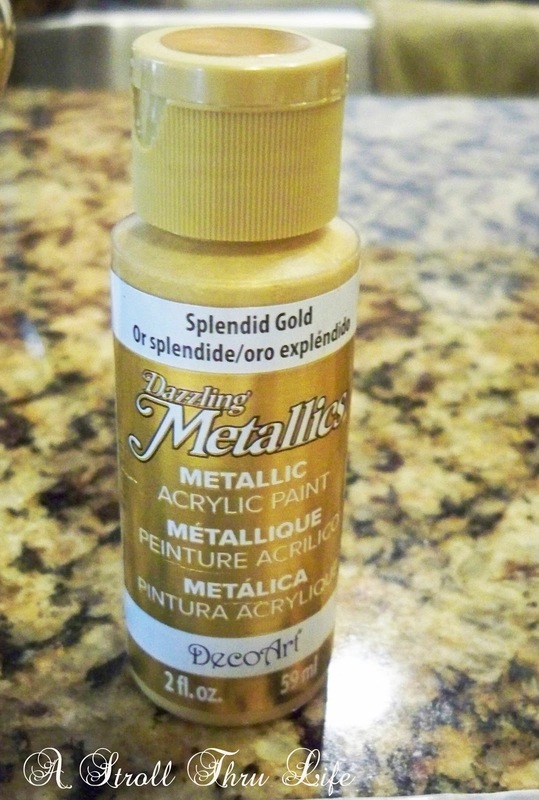 Gotta love the gold paint! 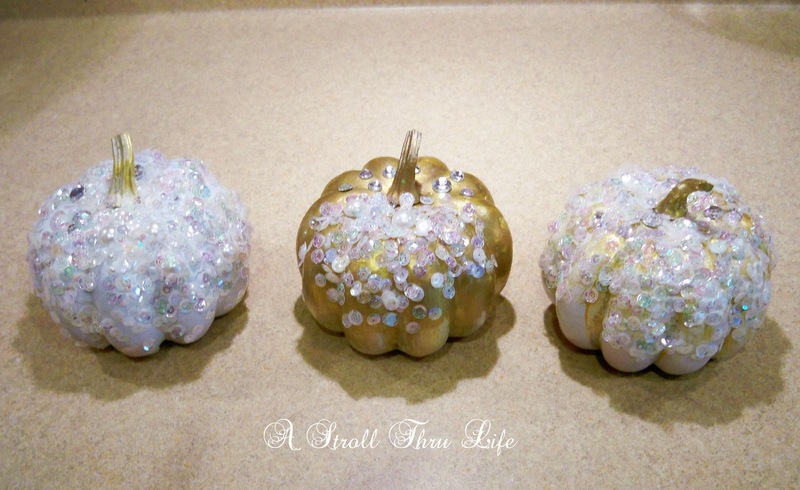 Love the bling on our pumpkins. Makes they so sweet and pretty. Have a great rest of the week Marty. These are so lovely Marty! 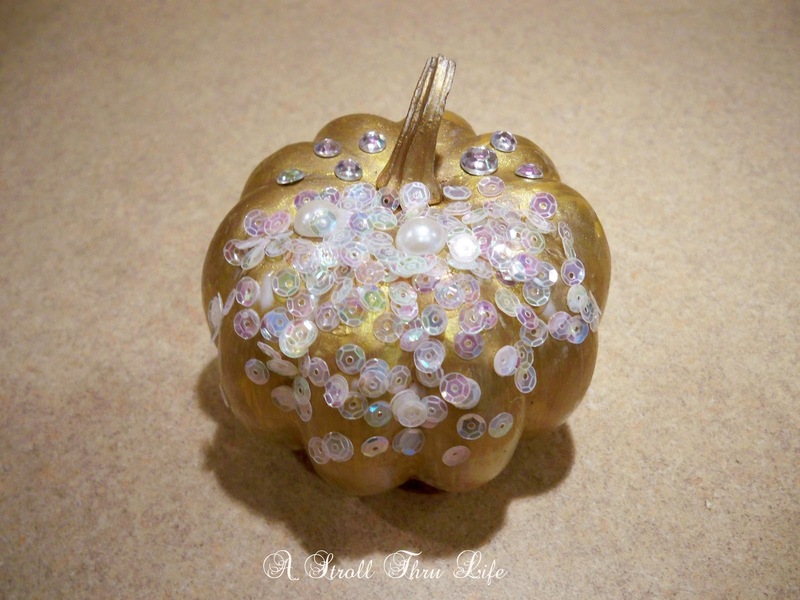 Love your pumpkins wit this bling! Love them!! I am going to Michael's tomorrow for some bling!!! Well done Marty!! Your pumpkins are so pretty. I am in awe of anything with sequins and glitter and beads. 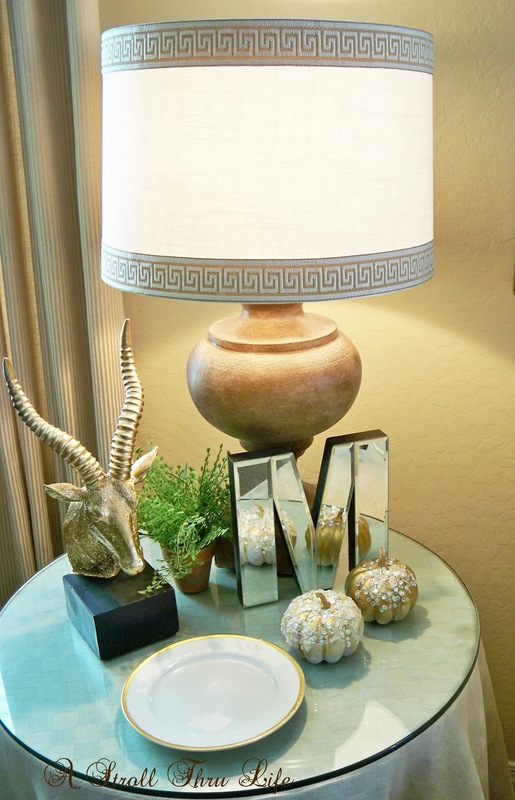 I am in love with your new lamp bases....they are so rich and elegant!! Oh my gosh Marty those pumpkins are so CUTE!!! How cute Marty! 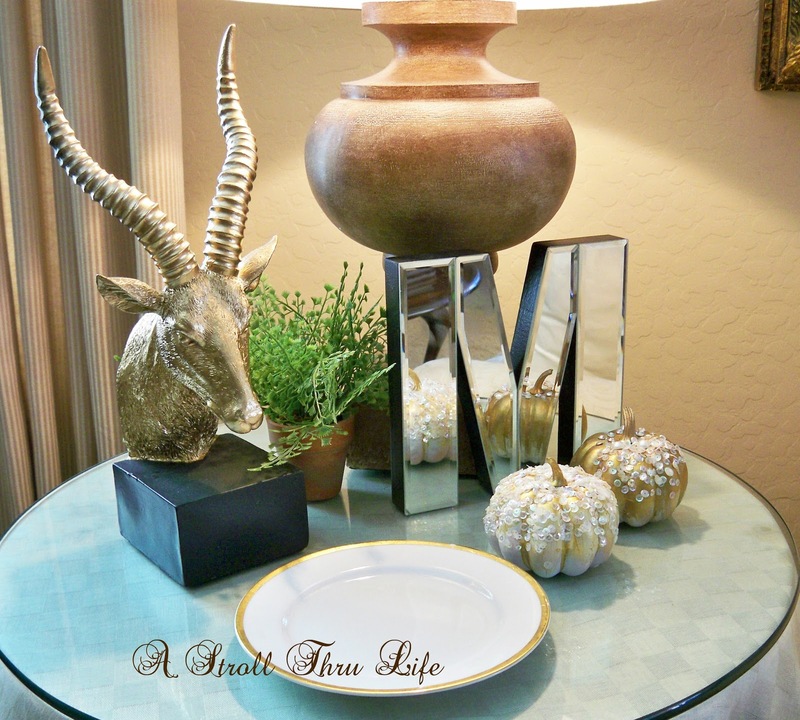 These are elegant and add a nice sophisticated touch! Super cute!!! Perfect bling for fall!!!! Cute idea Marty, and I like the mirrors behind them. These are adorable and have just the right amount of bling for me. I love the white one sitting atop the white box, and I love both of the ones sitting in front of the mirrored letter. So how do you think of these fantastic projects? Love these pretty pumpkins, Marty! Thanks for sharing at my Creative Ways Link Party. Hope to see you again this week! Very pretty Marty! Thanks for joining HSH! Great project Marty! Thanx for sharing at THT. Marty, Marty, Marty.....you are amazing!